Software Testing is one of the most indispensable parts of a software development process. It ensures that engineers develop only topnotch which is free of any error or bug. Software Testing is a complete process of reviewing a technical program, application etc. to understand whether it fulfills the necessary requirements or not. Also, software testing tasks are done to make sure that the product which is developed, delivers desired results. Software testing basically involves the identification of major issues named as ‘bugs’, which have the potential to hamper the performance of a software product or even a project. Software testing is one of the most flourishing career options in the world at present. This is because the world of software development is also quite buzzy. Thus, to make sure that every product or software is apt for the market. Therefore, when it comes to learning software testing with the objective of making your career in the field, the number of people interested is growing rapidly. It definitely takes some time to learn product testing, but all the time invested is turning out to be fruitful as the career opportunities in the field are growing at a high speed. How to learn software testing? In order to learn software testing, and build a career in the field, firstly, you would have to opt for a genuine course. Though you will find several options when it comes to learning the core techniques to make a career in software testing, it is important to choose only the trustworthy sources. At the same time, it is also important to make sure that you have opted for the most comprehensive lesson plans. Also, software testing needs a lot of flexibility as testing is mostly centered on the environment. Therefore, make sure you gather learning from all corners. At the same time, the testers have to stay abreast with the latest software testing techniques as well as the latest tools as software development and testing are evolving at a great pace. Analytical skills: One needs to have top-class analytical abilities in order to become a good software tester. As software testing needs a lot of intelligence as well. One may come across various tricky situations, which can only be tackled by being smart. Therefore, a software tester with superb analytical skills surely has a bright future. Passion to learn new things: One of the key skills required to become a topnotch software tester is the passion to learn new things. Why? Simply because software testing is one of those industries which keep evolving with the team. Thus, one needs to have a passion to continuously learn new techniques in order to become a master software tester. You need to have that desire to learn and grow that will enable you to hold on to your interest even in the extensive testing cases. The knack of time management: One of the key features that can make you a superb software tester is the ability to manage time. Software testing is a pretty demanding job. Thus, one needs to know how to manage time in order to complete projects without any delay. As, needless to say, if a software tester delays the testing process, it is going to affect the time of software delivery as well. And, the company might have to wait for more to make their product live. Automation: Every company wants their processes to be a lot quicker and efficient and that can only happen with the help of latest automation programs. Thus, one of the key skills that can make you superb software is the knowledge of the latest automation tools. Specifically, when it comes to the big-sized, complex projects, a tester needs to know how to use the automation tools, as then only the tester will be preferred by the company. Automation not only reduces the time-to-market but it also helps to boost the productivity of the tester. At the same time, the implementation of continuous development is made so much easier by the new age automation solutions. Selenium one of the top test automation framework but in future, we might see a few more software testing frameworks getting popular. Extensive knowledge of new-age technology testing: New-age technologies like the Internet of Things, Artificial Intelligence and Mobility are becoming top favorites of the world. The use is growing rapidly, and so the need for software developments and testing. As the gadgets used by a software tester are a lot smarter with IoT, therefore, the testers will definitely need to use smarter and latest techniques to test such devices or solutions. At the same time, niche specialists are going to be a lot in demand. Thus, if you have mastered the art of mobile testing or IoT testing then you would be preferred over those who come across as the ‘jack of all trades’. Cloud testing is on a high: Cloud computing is growing and it is only going to grow in future. Therefore, if a tester wants to really touch the skies, then it would be great to learn cloud testing techniques. However, security is one of the key elements to consider when it comes to cloud testing. Thus, make sure you learn software testing keeping in mind the importance of implementing security testing techniques to make sure that the cloud storage is safe for the company. 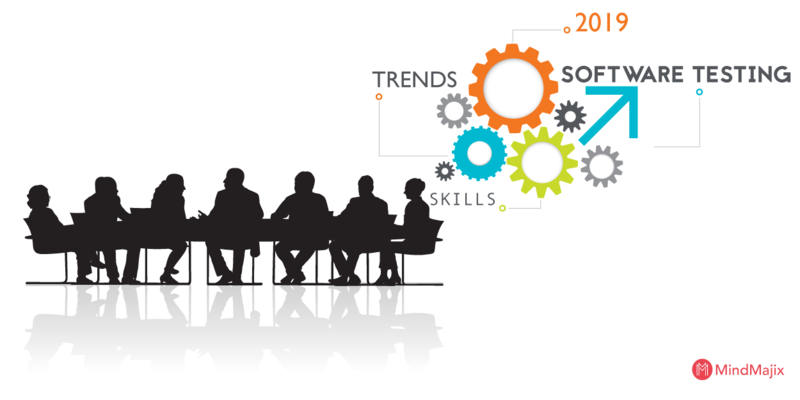 What are the latest trends and learning for software testers? Testing in the Internet of Things: Internet of Things or IoT is much more than just buzzes. This is the era of connected devices, thus, IoT is definitely going to be bigger in future Thus, the Internet of Things Testing will be continuously performed in order to make sure that the complete IoT system is error free. The testers will be required to comprehensively check IoT technology centered devices. The world has already become very dependent on the IoT devices, hence, Internet of Things is will be flourishing in future, and thus, testing will be important. Though, Internet of Things testing will never be completed without plenty of other elements like Security testing, compatibility testing, usability testing, performance testing etc. Thus, rightly said, IoT testing includes a series of steps. Big Data Testing: Big data, as we know is actually a huge collection of data. All of this data is generated via different medium and at a great speed. When it comes to Big Data testing, the experts have to make sure that the big collection of data is generated effectively. Testers have to ensure that all the supportive modules, as well as the commodity clusters are perfect. Big Data testing basically focuses on two of the main elements; performance testing and functional testing. At the same time, the quality of the data is a valid parameter when it comes to big data testing. The first step of big data testing is an assessment of the quality of data. The quality of data is evaluated, and there are various aspects which are reviewed. Some of the main parameters are the validity of the data, the accuracy of the data etc. As Big Data is expected to grow in the coming years, it is the need and demand for Big Data testing. Enhanced performance testing: Performance Testing is an eminent form of software testing, but now, in the coming years, performance testing is expected to turn into Performance Engineering. Performance engineering is a more comprehensive form of testing. It includes various segments like security testing, usability testing, network compatibility as well as performance testing. This is done to make sure that the software or the app works perfectly even in changing conditions. DevOps and Agile may work together: When it comes to the main objective of DevOps, it is to make sure that all the different segments of the IT department are working in a synchronized manner. DevOps make sure that there is flawless coordination. This is done to make sure that a thorough organizational objective is achieved. Also, the multiple Test Centers might be swapped by nodal agile groups. These groups will be playing the role of a dynamic Quality Analyst. However, they would be working in a close-circuited and discrete framework. You may like to go through a video of webinar help on 22nd of January by Katalon partnered with ToolsQA. When it comes to the updating software testing skills, practical guidance is one of the important steps to consider as well. Also, in order to become a master make sure you learn from the real life experiences and problems. But, always remember to stay updated with the latest trends and techniques as well. Software testing is a golden career option. However, in order to become a topnotch tester, you would have to keep learning and growing.